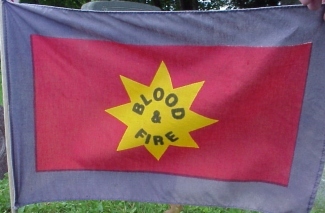 For this flag, I have not found a specific flagholder and the first time I encountered it, I tended to discount it until I had more information. The first instance was on the Pennsylvania side of the Delaware River on Route 611 which follows the river all up through the state. Since I did not know what to make of it, I did not record any information about the grave I found it on. 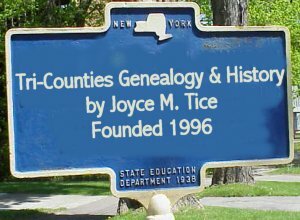 The second instance was in Otsego County NY where I found it on the grave of a man listed as Tec 5 US Army World War II who died in 1995. Any ideas on what this flag commemorates will be welcome.